Special size Granite Surface Tables made to order. Re-lapping available on site. Annual calibration contracts. 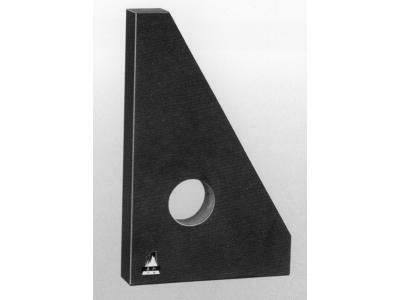 Can be supplied with calibration certificates. Special size Granite Squares made to order available with aluminium carry cases. 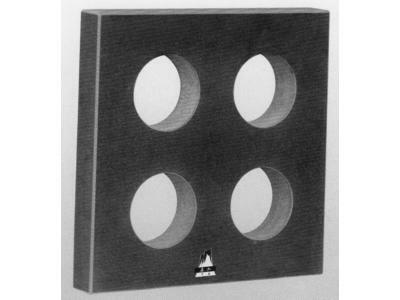 Can be supplied with calibration certificates . 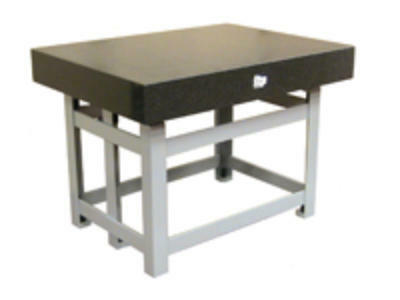 Midland Metrology’s Granite Surface Tables, Granite Surface Plates and Granite Squares are made from a very high quality dense black granite. All products are precision ground and lapped producing reliable, stable and long life granite products. Granite has a number of advantages for Surface Tables, Plates and Squares over the traditional cast iron material, these include: • Does not corrode • Very wear resistant • Scratches and damages do not produce burrs, no influence on measurements • Fine finish with low friction when moving items on the surface We aim to keep all sizes of Granite Plates and Tables in stock at all times. We are also able to offer larger size tables upon request, the maximum size is 4 metres x 2.5 metres. Nearly all sizes of Granite Surface Tables, Granite Surface Plates, Granite Tri Squares and Granite Squares are available from stock. Sizes not listed or not in stock are available within a 6-8 week delivery period. Special sizes of Granite Tables for example below shows tables which are 3600 mm x 2200 mm are also available.